Super slim WIRELESS CHARGING Pad: Coffee cup coaster size (3.9 × 3.9× 0.39in), 0.25in thickness,Generates 50% less heat, cooler and a Fashion Ornament of the future style to your desk/room/office/school/night stand. 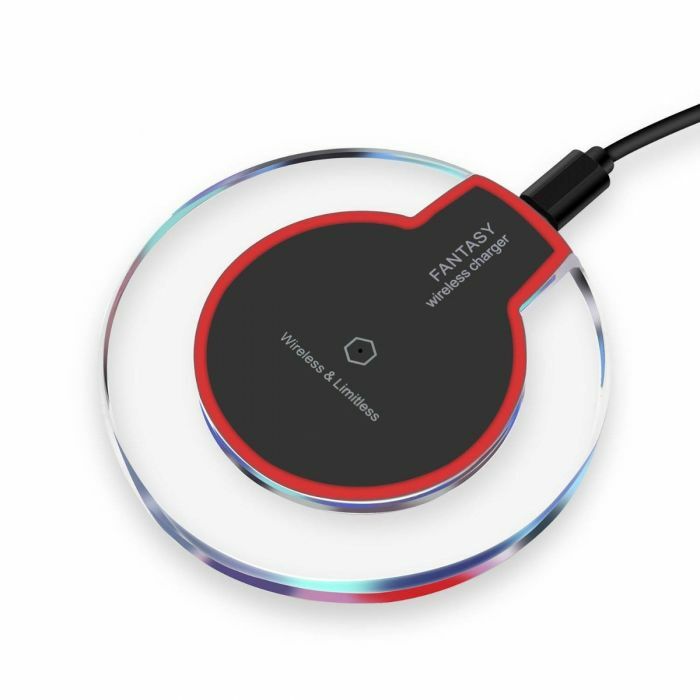 One of the slimmest Qi-enabled wireless inductive charger available on the market. FRIENDLY LIGHT: the soft blue breathing light will let you sleep peacefully. Input: 5V/2A; Output: 5V/1A. SAFETY GUARANTEE: This wireless charger provides over-voltage, under-voltage, short-circuit protection to ensure safety for your cell phone. For iphone X for iphone 10 for iphone 8 8 plus for Samsung Galaxy S7, S7 Edge, Galaxy S6, S6 Edge S8 S8 PLUS NOTE 5 8.